People of all ages are addicted to phones, iPads, and gadgets of all sorts. Technology seems to run our lives. Don’t let your child’s creativity be taken over by the virtual world. Instead of exposing your child to gadgets of all sorts at a young age, expose them to books. There are many benefits to reading. Teach your young ones to love books. Reading every day will help your child get the head start he or she needs in such a competitive world. Children’s minds are like sponges, meaning that they easily remember and pick things up. Reading books regularly is an easy way for your children to learn new words. Their vocabulary will expand greatly. This, in turn, will help them improve their skills in writing. Reading will also help your children learn how to read between the lines and analyze text. Books aren’t only educational, they are fun, too! Your little ones will learn to love reading before they to it. They will be transported to another magical world and make friends with characters. With TV and movies, children don’t have to use their imaginations because they see everything that’s going on, but when they read, they will be forced to use their brains. Not only will your children learn to be intelligent mentally, they will also learn to be intelligent emotionally. Being emotionally aware of others is an important characteristic to have. 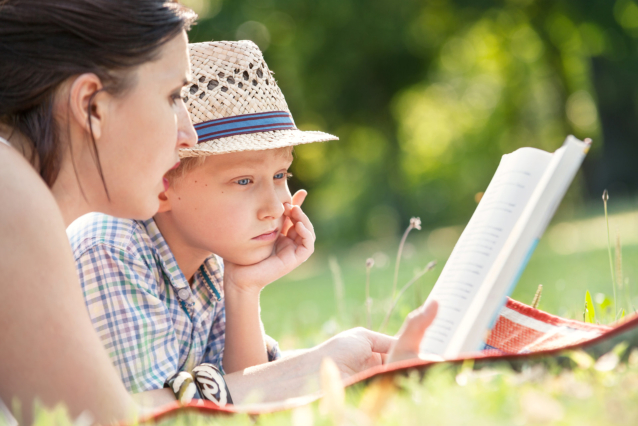 Reading will teach your young ones how to connect with characters that they’re reading about and put themselves in different character’s shoes. They will feel what the characters feel, and this will teach them to be aware of other people’s emotions. Your children will learn to care about the well-being of others through reading. Reading is a great way to teach your young ones to empathize. Don’t wait for them to learn to love reading on their own. Your children may think books are boring, or that reading is hard. Help them out and show them how great reading books really is. You can encourage your young one to read by reading to them or with them. After tucking your children in at night, read them a short story or two or a chapter of a book. Reading to your kids will help them use their minds to create a world of their own and visualize how characters look. You won’t just help their brains, you’ll also show them that you love and care about them by spending time with them. At Kids Learning Path, we will provide your young ones with a safe and loving childcare environment where they can learn to read. We care for children ages 0-12. If you are looking for a provider of Child Care in Las Vegas, Nevada, enroll your young ones at Kids Learning Path today. It is our mission to help children learn. For more information about our services, give us a call at 702-456-4986.